After you vow your love to your partner during your wedding ceremony, it will be time to head off to your wedding reception to celebrate with all of your closest friends and loved ones! Therefore, you will certainly need to discover the perfect setting. With many locations to choose from, it could pose as a daunting task to select just one to begin your happily ever after within. However, if you are aware of some tips, you can choose yours with ease. Search Early. First off, know that booking your venue should be one of the first tasks completed when planning your wedding. After all, you will need to know where your celebration will be taking place in order to hire your vendors and plan your elements of décor. So, you will want to start your search about a year in advance. In addition, the sooner you search, the more likely you are to discover your dream space, being able to book the location before another couple does. Consider Size. You will want your guests to be comfortable within your wedding venue. After all, a cramped wedding certainly wouldn’t be enjoyed. When searching for your space, it is important that you have a headcount in mind, so that you choose a location that complements it. In addition, never assume that guests won’t be attending your big day, and always go with your highest number, as it’s best to have more space than not enough. With the right size venue, you can truly enjoy your celebration. A Complementing Style. Your wedding will most likely will showcase a certain theme and color scheme. Therefore, you will want your venue to complement it. When on the hunt for yours, take your chosen style into consideration. For example, a rustic theme would be best complemented by a barn or natural setting, while a hotel or banquet hall would be best for a modern presentation. 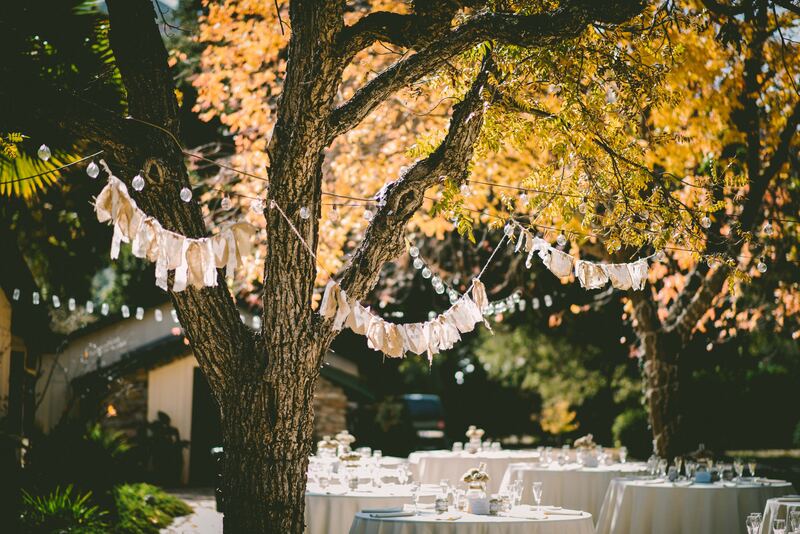 Choosing your wedding venue doesn’t have to be a difficult task! In fact, if you utilize these tips, you can choose yours with ease. So, if you are ready to discover your own wedding venue in Columbus, Ohio, such as the lovely Hideaway Country Inn, please get in touch with us here at Engaged Columbus. We would be more than grateful with the opportunity to pair you with your dream Columbus wedding venue.